Here, I am using Visual Studio 2015 but you can use any of VS 2010/2012/2015 or 2017 version. You just have to create any version of MVC Project. There are 5 parts in this project and this is 2nd Part. Open Visual Studio 2015 and Start a New Project. 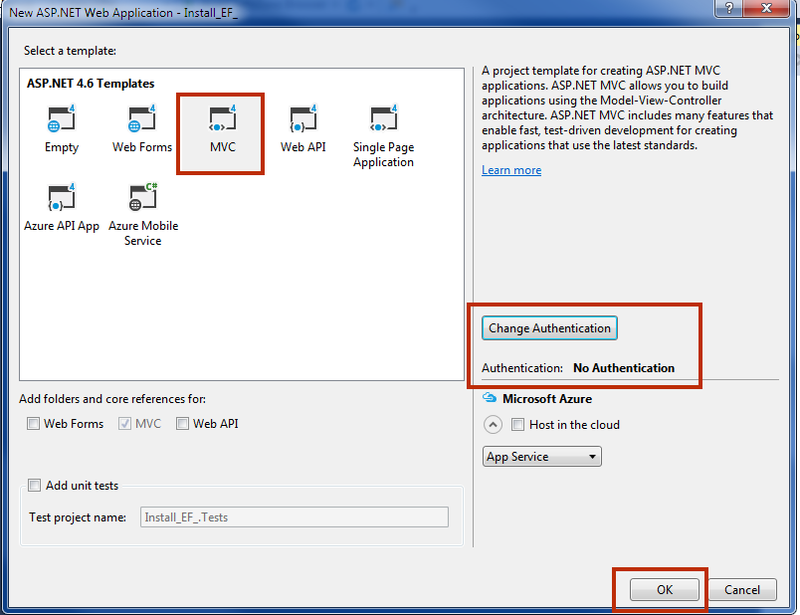 Select Web in the left panel and then select ASP.NET Web Application (.NET Framework) from middle panel. Give Project Name FirstEFProject and click OK. In this chapter, you learned how to create new MVC Project. 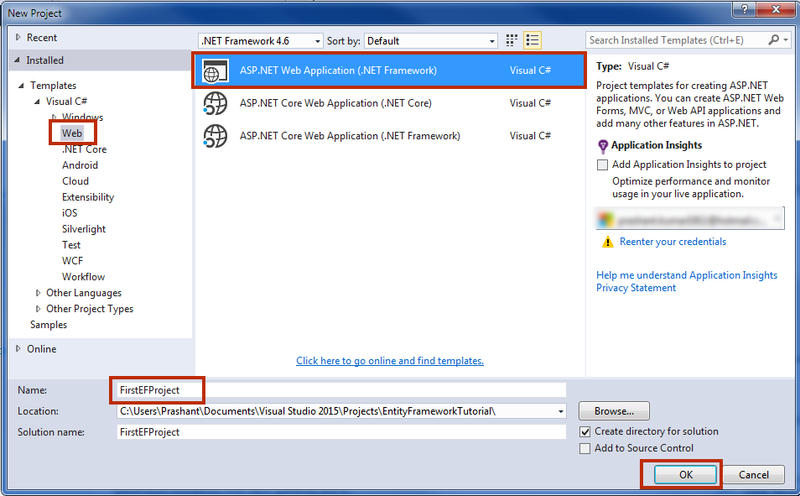 We will use this project for Entity Framework 6 Tutorial with New Database. In the next chapter, we will create a Database and Table for EF. This database will be used for CRUD (Create, Read, Update and Delete) Operation with the help of EF6.